End hunger one step at a time! Living Waters participates in the CROP Hunger Walk each fall. 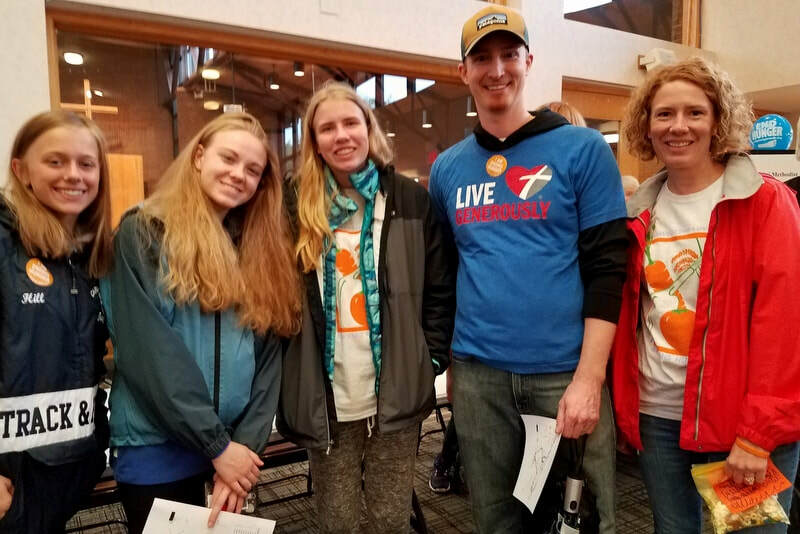 Walkers collect donations that are used to provide food, medical care, disaster relief, and self-help development for needy people throughout the world. A portion of funds from the McHenry County CROP Walk is used for hunger relief in our local community. Walking also reminds us that the poor walk for food, for water, for firewood, to escape violence, to seek shelter, to farm their fields, to find employment, and to go to school. To learn more about CROP Walks, visit the CROP Walk Facebook page and website. On Saturday, March 16, from 8 AM to 3 PM, Church World Service is hosting the 2019 CROP Leadership Day at the Northern Illinois Food Bank, 273 Dearborn Court, Geneva, Illinois. All of the CROP Walk committees from northern Illinois come together to learn what's new for 2018 and participate in roundtable discussions and networking sessions to learn more about conducting successful CROP Walks. Living Waters is looking for 3 or 4 people to help plan the walk and organize a team of walkers. You're invited to join us at the leadership meeting, which includes lunch and a chance to work on a service project for local food pantries. Want to help get ready for next fall? The Outreach Team is always happy to add another member to the planning team. Meet with other goodhearted people from our community to help make next year's walk a success. Contact the church office, and someone will get in touch with more information. Thank you to the walkers and donors. Thanks also to the volunteers at the start/end location who helped with the walk. They blew up helium balloons and signed in our walkers at the registration table. The 2018 walk raised $23,770, surpassing last year's record giving of $23,600! Out of the total, Living Waters walkers raised $2,045--$5 more than last year. Register and donate online. For more details, follow the walk on Facebook.